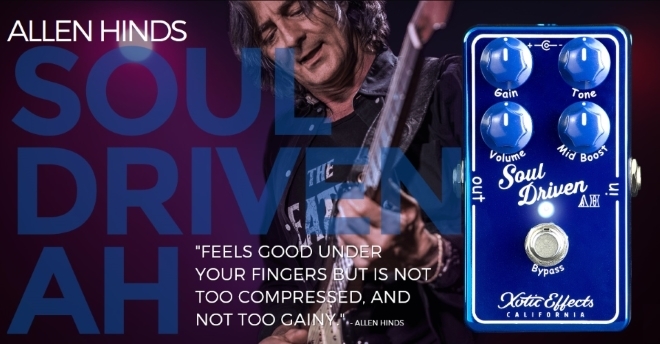 The Soul Driven AH produces creamy boost and overdriven tones that enhance the harmonics while maintaining the transparency of your guitar tone. It also features a mid boost knob that pushes the mid-range frequencies creating more dynamics giving your tone more clarity. The Soul Driven AH will help you find the sweet spot every time. Included with the Soul Driven AH is a download card to Allen Hind’s latest album, "Fly South", and a certificate of authenticity. This pedal is one of a limited run of 1500 pedals that will be produced.